Good, inexpensive haircuts are hard to find in New York. When you are lucky enough to stumble upon a reliable barbershop that costs $12 for a trim, you stick with it. 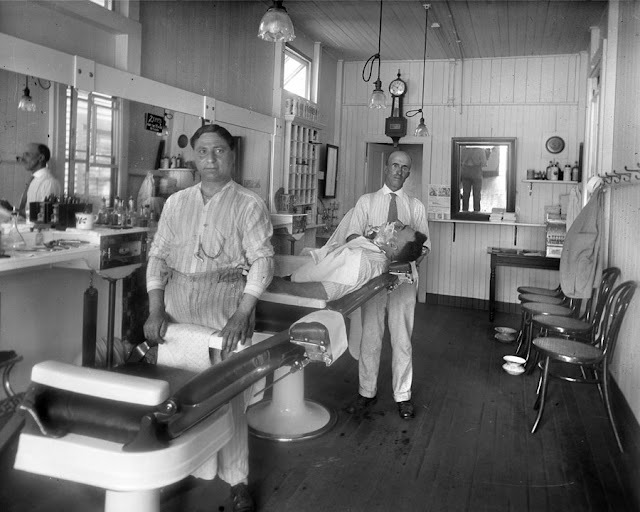 I live in Boerum Hill, but I get my haircut in Williamsburg by an old Italian barber. He’s a nice man, kind with redheaded grandkids. He serves free liquor to his customers at the holidays. When I lived in Williamsburg, I used to jog by the shop every morning and wave to the barber; and every time I’d get my haircut he’d tell me he was going to join me on my jogs one day. He’s been cutting my hair for three years and we still haven’t run together. 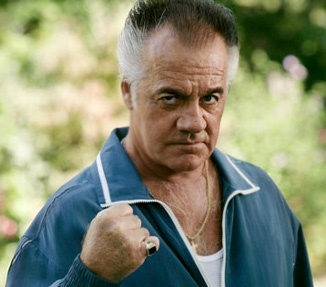 The other weekend when I went in to get my haircut, there were two clients in the shop; each one had a very Sopranos vibe about him—complete with navy Fila sweat suits and snow-white Reeboks—which is not unusual for the general clientele. I sat down on the couch and waited for my turn. Confused, I looked to where he was pointing. Sure enough, in the window there was a little blue bird in a cage. This was new. “What do you do with this thing at night?” Customer One asked. “I bring it upstairs,” the barber said. “What is it? A parakeet?” Customer One said. “Yeah, that’s a parakeet,” Customer Two said. Again, confused, I looked towards the window where the man was pointing. I hadn’t noticed earlier, but the storefront windows had two clean bullet holes. Each hole was taped and covered over. The conversation halted and everyone listened to the news on TV. I sat and grew paranoid. Suddenly I started imagining scenarios where I would wind up as an innocent victim in a mafia hit. The poor guy who’s body lies in the background of a front-page murder shot. Finally, mind racing with visions of my own demise, I took my turn in the chair. I smiled at the barber and we exchanged pleasantries. As he started the buzzer to neaten the back of my head, I pointed to the bullet holes in the window. “So, what happened there?” I asked. I could do nothing but believe him as he began to trim my hair. It was another exceptional haircut.